About Us(backup) - Beyond Autism Inc.
As parents to children with autism, we learned rather quickly that we had to be strong advocates for our children; we had to be their voice. What we have always believed as parents is that our children deserve what every child deserves: a safe and loving place in which they can express themselves freely as individuals. Throughout this journey we have also found some amazingly talented and compassionate professionals that share our vision. Day in and day out, our team members strive to impact our children’s lives with an abundance of knowledge and an endless supply of compassion. Our commitment is to our students, their families and our team members. We are driven to ensure that Beyond Autism grows smartly with an exceptional work ethic and high energy that will ensure its longevity. We promise to look beyond autism and embrace the person first as an individual. Autism does not define who they are. We promise to value the uniqueness in each of our students by promoting their creativity, celebrating their strengths and encouraging their personal expression. We promise to collaborate with our families to create balance between goals and expectations, creating a cohesive relationship based upon a mutual respect and understanding. Why us? First, we recognize our role as just one component in the life of the child. The unique perspective of the family and their ultimate knowledge about raising a child and living with autism are invaluable. We believe that only through collaboration, open communication, and a mutual respect can we honestly reach the goals of the student and the family. Secondly, we seek family input when determining the goals that will be worked on throughout the year. Academic, social, and life skills goals are established and agreed upon to ensure we are striking a balance between school and home life. Autism is a very complex disorder that affects each individual differently. We believe that you must view each child in a holistic manner. What does that mean? Simply put, in order to understand the individual, you must look at them as a whole person. Taking into consideration medical issues that accompany the diagnosis of autism is an important factor not to be overlooked. Whether you follow a particular diet or treatment options for your child, we understand and respect that the choice is yours. We will do our best to accommodate the needs of the child and the family. In addition, the Beyond Autism team is passionate about supporting the family and building a community. We strive to create a warm and supportive environment that our families will experience through parent trainings and community outreach. Our attitude here at Beyond Autism is simple. We are all here because we want to improve our students' lives and know that it takes a team approach. Although we all possess different skills and abilities, it’s our compassion and desire to enhance their lives that allows us to work synergistically. Our qualified team members possess the technical competencies necessary to teach children diagnosed with autism spectrum disorders. In addition to extensive ABA training and experience, our team will receive quarterly in-services, including non-ABA based training. “Always a student” is our mantra and that applies to our team members too. We will strive to support the continued growth of our team through pertinent educational opportunities. 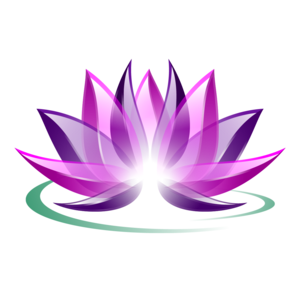 The lotus flower has deep symbolism in many cultures. The lotus flower begins its journey in a dark place submerged in cold, murky, and muddy waters. It emerges with clean, breathtaking petals with vibrant colors, and you immediately admire the beauty. The journey of autism can feel dark and cold at times. Like the flower, the child emerges as a pure, beautiful being worth admiring.